CANopenIA provides Instant Access to CANopen networks by simplifying the implementation process of CANopen devices. 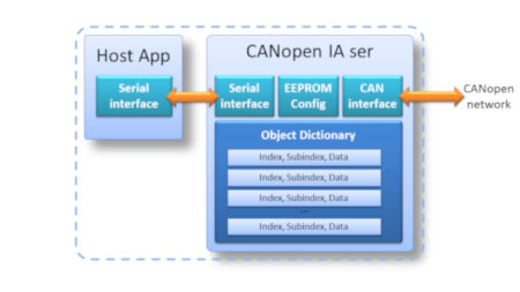 Dedicated CANopen chips or CANopen modules are used to implement the entire CANopen communication protocol. For further information, please visit our website www.CANopenIA.com.